iGear have unveiled their latest project on Facebook. 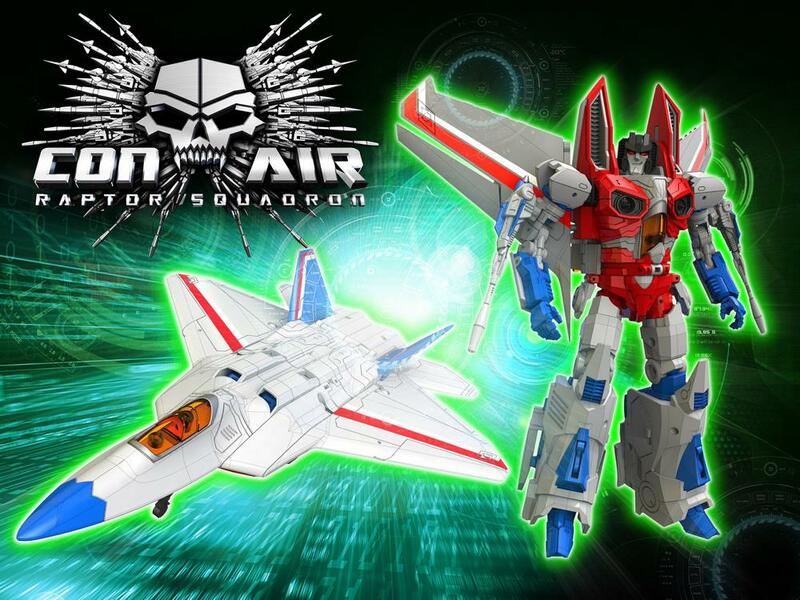 They are revisiting the Seekers with this latest not-Starscream, this time going with a design based on the E.J. Su F-22 Raptor design featured in the pre-All Hail Megatron arcs of IDW’s Transformers comics. 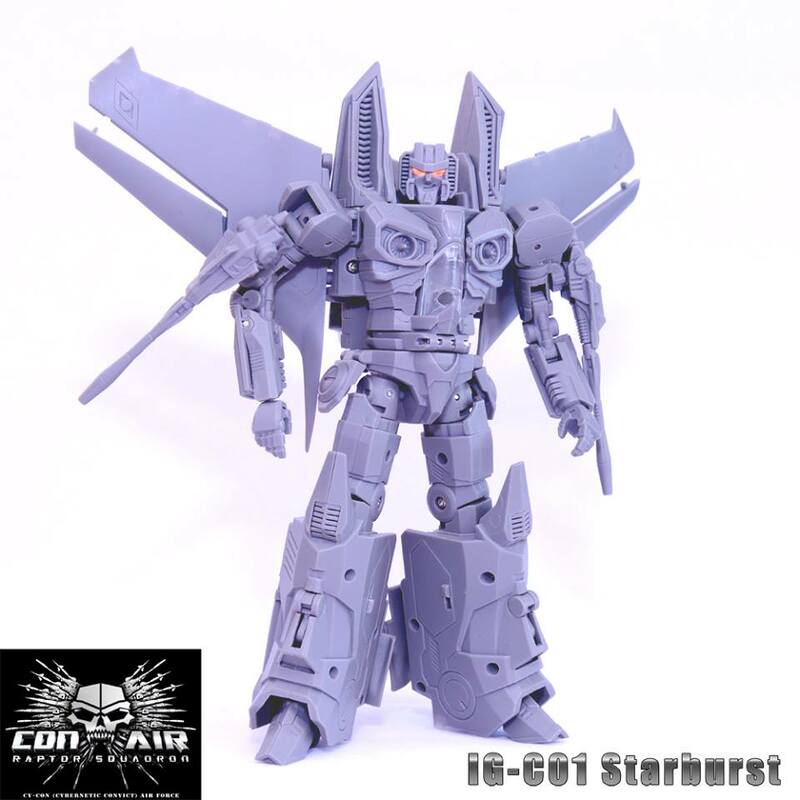 Highly stylized, the design features bulky legs but perhaps too-thin arms, and a trademark Starscream smirk on the face-sculpt. We wish to remind our readers that this is an unlicensed third party product, neither licensed or endorsed by Hasbro or Takara-Tomy. 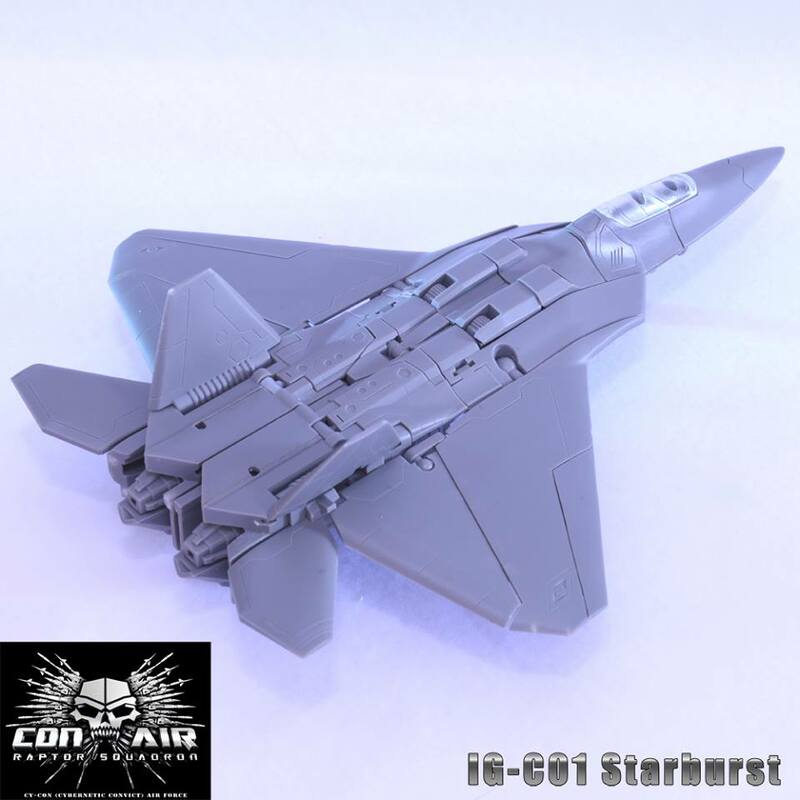 in case any1 interested in the coneheads… ard $20 per plane..
That store's price is actually about what the going price was for them originally…at least in the U.S. I may take a swat at making replacement face plates like Dr. K did years ago. I will post any progress on that as needed. GR1ML0CK do you still have that "Skywarp" and "Dirge"?